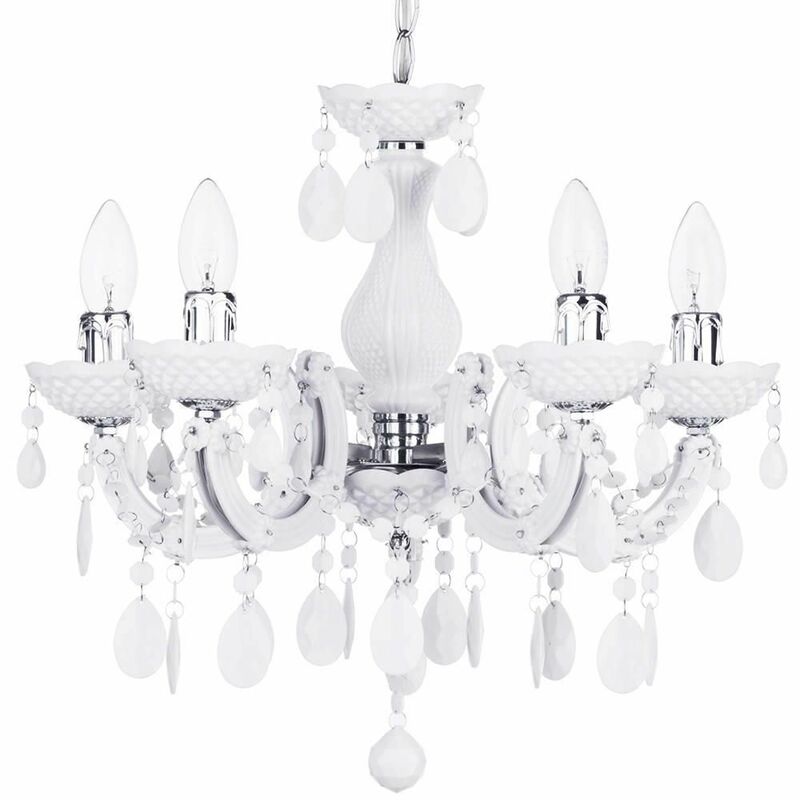 This White Marie Therese 5 Light Dual Mount Chandelier is truly a beauty to behold. 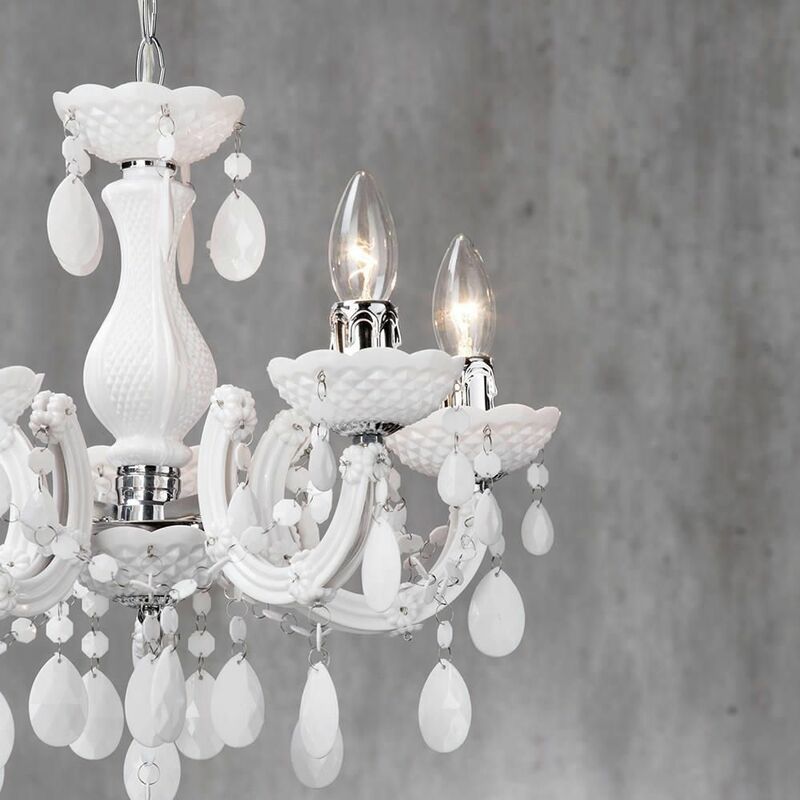 This chandelier easily has the potential to be the focal point of any room, with the beautiful design featuring 5 curved arms, 5 bulbs situated at the end of each arm, the intricate beading around the arms, and the decorative droplets. 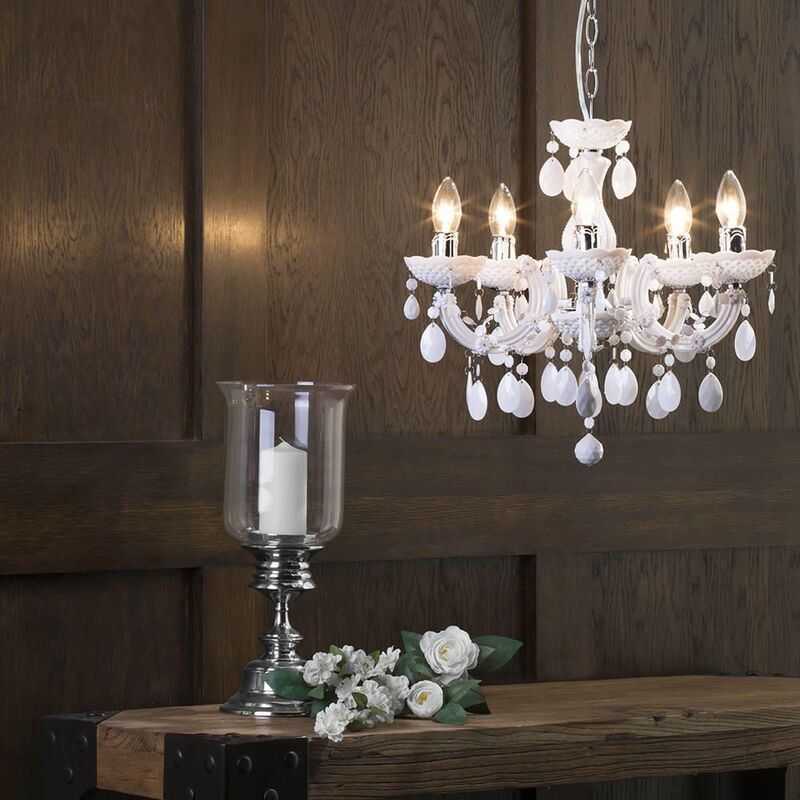 These features really do come together well to form a wonderful chandelier suitable for any house looking to create an elegant and stylish interior. 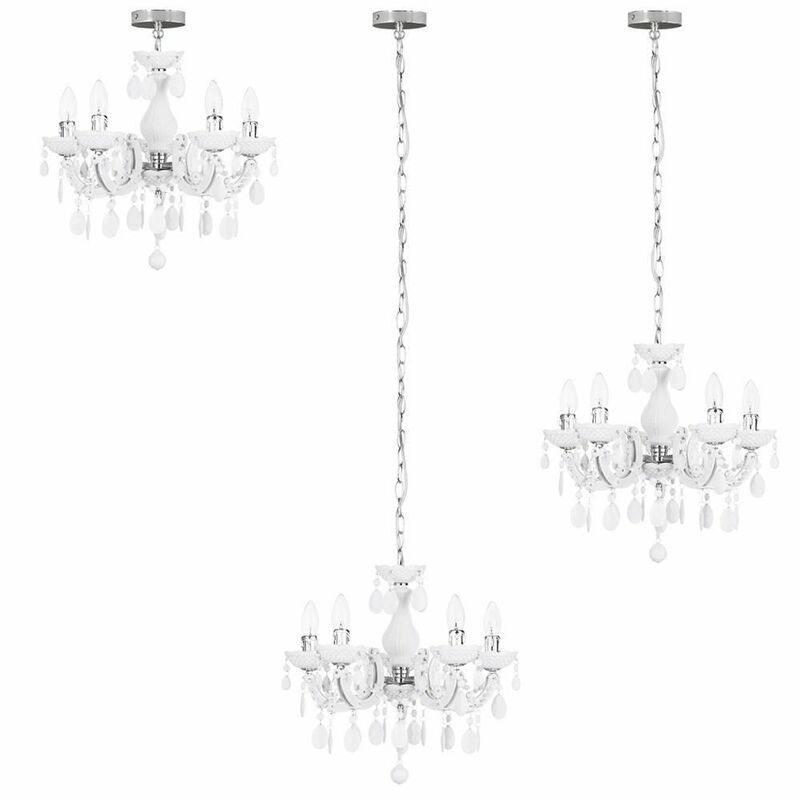 What’s more is that thanks to the dual mount system, you have control over how this chandelier is presented. 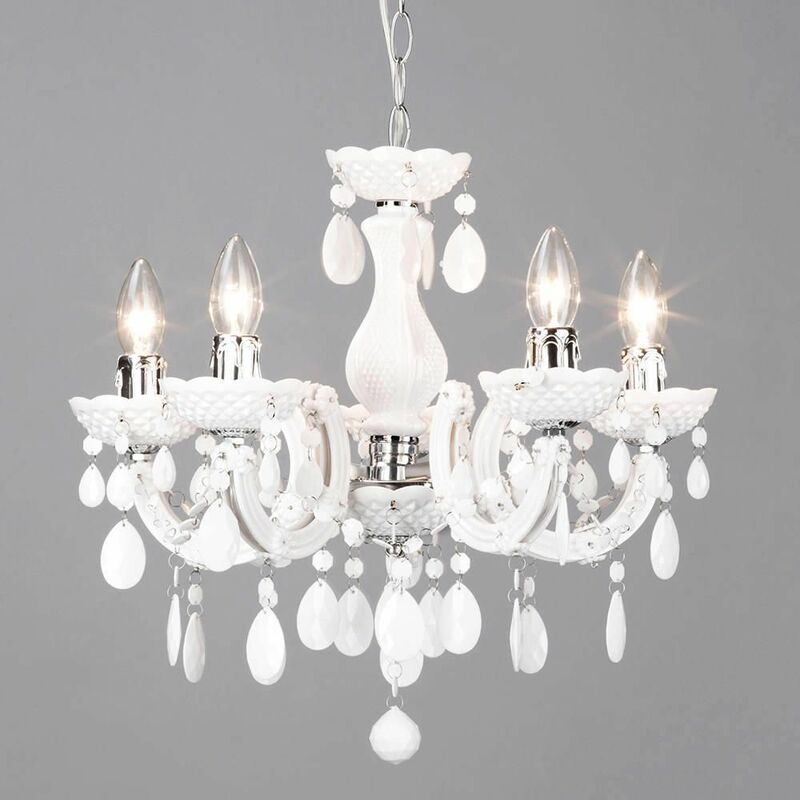 You can choose to either hang the chandelier from the chain for the more extravagant look, or use it as a flush style light and have a more refined elegance to the lighting. 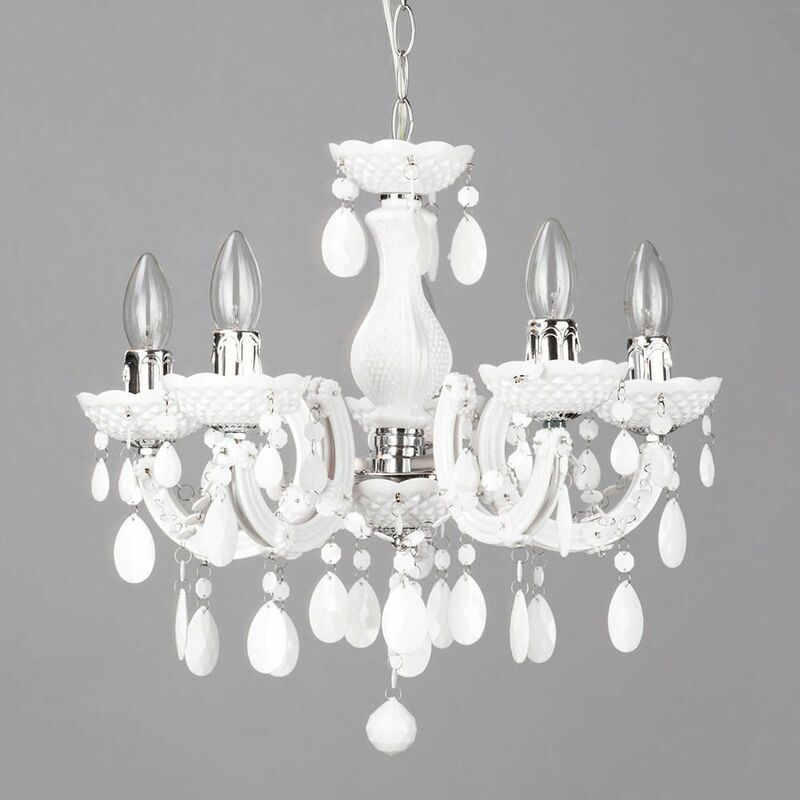 Still need help choosing the perfect chandeliers or ceiling lights? 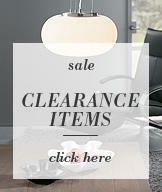 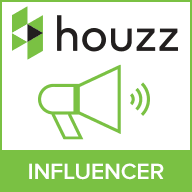 Take a look at this buying guide.